Camelback Steam Locomotive | Flickr - Photo Sharing! 0-4-0 Camelback, aka Mother Hubbard steam locomotive. It was not designed for crew comfort but to burn cheap anthracite coal waste (culm). That required a wider larger firebox and moving the cab forward for the engineer to see. Being next to the boiler didn't leave much room for the engineer. The fireman was in the rear exposed to the weather. 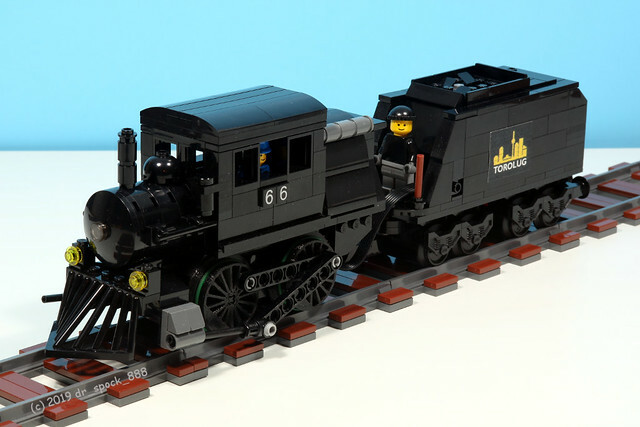 This engine is powered by LEGO Powered UP. The PUP motor is in the engine and the PUP hub is in the tender. Murdoch17, JT Batchelder, and 29 other people added this photo to their favorites. Thomas Selander Thank you. It does seem to be a speed demon. Camelbacks were suited for passenger service since burning culm didn't generate much smoke and they can be speedy. Have you heard that flickr is slowly killing off flickr accounts that have 1000 photos or more that don't have flickr Pro?